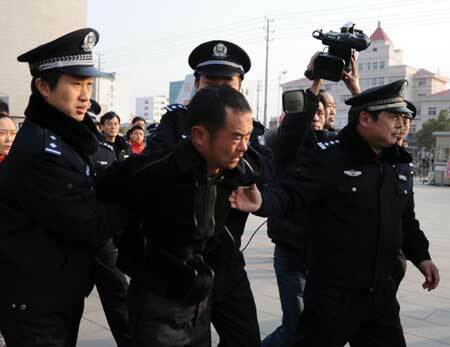 Wuhan - Police in central China's Hubei Province said Sunday they had seized a man who was suspected to have killed eight people, including a two-year-old boy, last week. A resident in the provincial capital Wuhan called police at 9:30 a.m. Sunday, saying he had spotted a man who resembled Xiong Zhenlin, a suspect hunted by police. 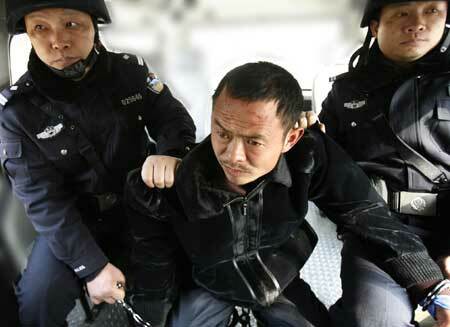 Xiong, 35, was listed as the most wanted suspect by police after the brutal killings last Sunday night in Suizhou City. Two police officers found the man sitting at a junk collection station in Jianghan District at 11:18 a.m.. He tried to escape at the sight of the policemen but was seized and taken to the police station, where he confessed he was Xiong Zhenlin. 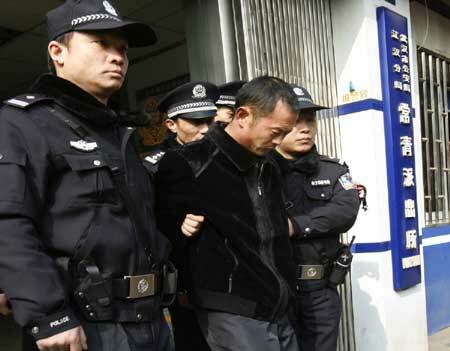 Xiong told police he killed eight people in Luoyang Town last Sunday night and fled to Hainan Province in the south the next day. He had just arrived in Wuhan when police caught him. Xiong was handed over to police authorities in Suizhou Sunday afternoon. Police are yet to find out his motive behind the killings. Zou Chuanshuo, a 2.5-year-old boy, and his grandmother, widow Zhu Deqing, 43, were found dead in their home in Luoyang town of Suizhou City last Monday morning. The wounds on their heads suggested the attacker was armed with an axe, and they had died after midnight, said a spokesman with Suizhou public security department. Investigators named Xiong Zhenlin, a local junk collector, as a suspect. Xiong's mother called police early Monday saying he was nowhere to be found. Police searched Xiong's junkyard and found six more bodies as well as blood-tainted axes and hammers. The bodies of the three men and three women were identified as employees at Xiong's junkyard. They were all natives of Luoyang town, aged from 45 to 69. A neighbor of Xiong said Xiong divorced his wife three months ago hoping to marry Zhu. "After Zhu turned him down, Xiong wanted to make up with his wife but she too rejected him." Other people in the town confirmed the story, said Wan Xuebin, public security chief of Suizhou. "But no one could explain why Xiong might have killed the junkyard workers." Zhu's husband died many years ago and her son and daughter-in-law were working away from home.